Starbucks is a block away (2401 Truxtun Road). Online registration only. Seats are limited. As a speaker, trainer, coach and/or consultant, you give presentations full of valuable information. You’ve got well-designed, informative, easy-to-read slides. They are so good that audiences ask for them every time you speak. You don’t mind sharing some of them, but you know audience members would get much more value if they had what you said when you shared the slide, along with links to research papers, assessments, and others’ relevant articles. They would get even more value if they had places to write their thoughts during your presentation, and even better if they had assessments that would help them understand the material better. • You’ll determine which popular presentation has the best potential for a Slook™. • You’ll learn if your slides are ready to be turned into a Slook™. • You’ll understand the basics of turning your slides into a Slook™. 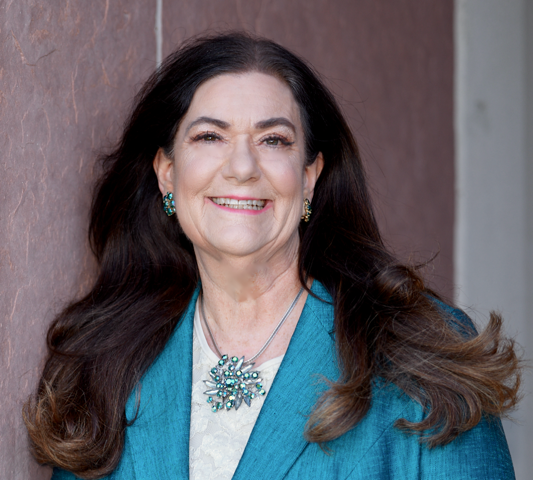 Rebecca Morgan, CSP, CMC, is an international speaker, trainer, consultant and bestselling author of 27 books, two of which have sold over 250,000 each and are translated into 9 languages. These have landed her on Oprah, 60 Minutes, NPR, Forbes.com, the Wall Street Journal and international media. Budget Rent-a-Car purchased 50,000 of one title. Rebecca has invented an innovative way to combine your memorable slides with the content of your presentation into a product she calls a Slook™ (slides into book) that every member of your audience — and beyond — will yearn to own. At this time, there are no other programs scheduled for NSA-San Diego members. Check back here for updates and watch your email for notices. Non-members can sign up on our non-member list: click here. This allows them to attend a subset of our meetings. of our local chapter...dues free!! !